Many years of war and conflict in Afghanistan has created thousands of widows and orphans. Across the country, illiteracy and the lack of education is identified as one of the biggest problems facing women and children. Afghanistan still has one of the highest illiteracy rates in the world with about nine million illiterate adults, according to the Afghan Ministry of Education (UNAMA 2013). Sixty percent of the 4.2 million out-of-school children are girls (UNICEF 2011). Children in the formative years need access to stimulating learning for optimal brain development and character formation. Many young children, without access to a safe schooling environment, currently stay at home or wander the streets unsupervised. 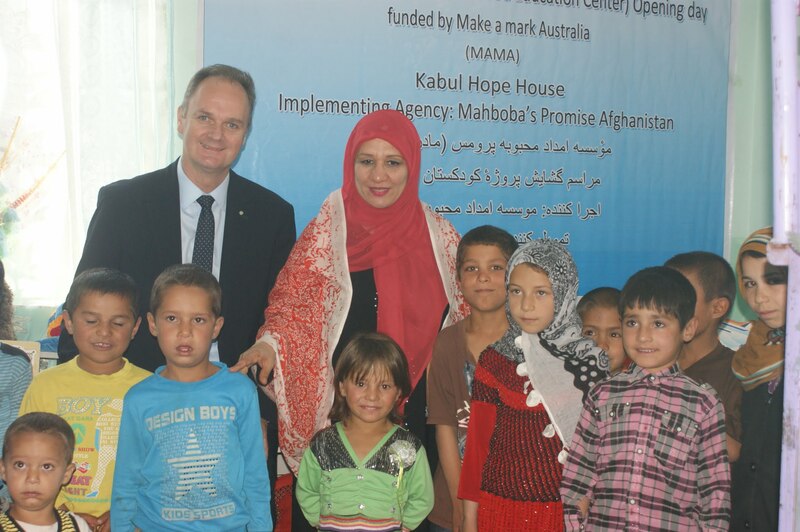 In response to this problem, MAMA worked with Mahboba’s Promise to create an Early Childhood Education Centre at Kabul Hope House. It provides the necessary pre-school education for children aged 4-7years from within the local community. Orphans and the very poor will be the priority. There will also be a small number of places made available to fee paying students. Through the provision of childcare, this project will enable young widows and socio economically disadvantaged mothers to pursue work and income that could raise the quality of life for their family.